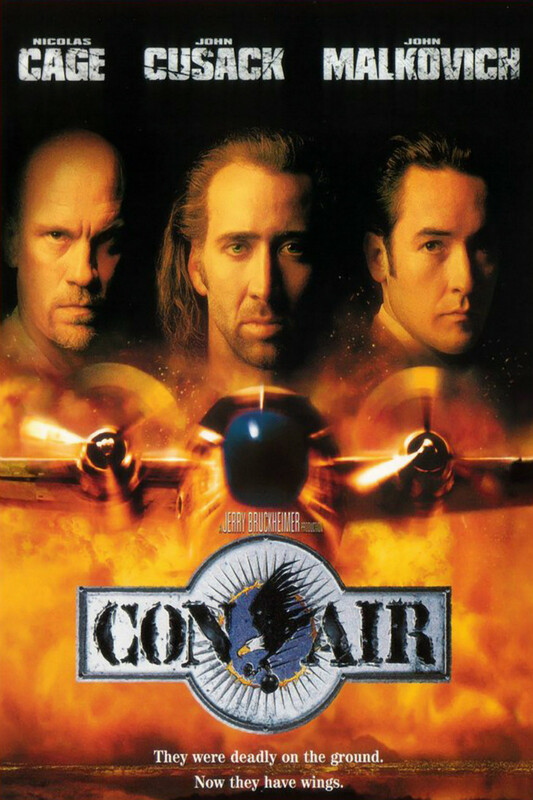 Con Air is a 1997 American action film directed by Simon West and produced by Jerry Bruckheimer, producer of the 1996 film The Rock. The film borrows its title from the nickname of the Justice Prisoner and Alien Transportation System. The font used for the film title in the poster is probably Adobe Stencil. American industrial designer Gerry Powell designed Stencil font for American Type Founders in 1937. The characters are designed to emulate the look of bold, cut-out stencil letters. The Stencil font identified above is not available for free, please follow the link above and purchase the font. Meanwhile, you can take a look at our collection of fonts for cars, pop music and apparel as well as round-ups of new & fresh fonts around the web. In addition to Con Air (film), Stencil typeface is also used in the following logos, movie posters or album covers etc., including: Rebirth of a Nation, Fear of a Black Planet, Wounded Warrior Project, Born on the Fourth of July, The A-Team, Volver, The Home Depot, Reno 911, Recess.